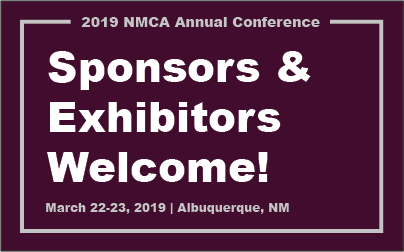 The New Mexico Counseling Association will be hosting our 2019 annual conference “EMPOWERING ALL: COUNSELING ACROSS THE LIFESPAN”. The event will be held on March 22-23, 2019 at the Embassy Suites in Albuquerque (Address: 1000 Woodward Pl NE, Albuquerque, NM 87102) . We will be representing counselors across New Mexico directed at the dilemmas our community faces. It is our goal to draw on the unique strengths of our community, our clients, and our fellow counselors to inspire growth and efficacy throughout an individual’s life. We understand the difficulty clients and counselors alike may face when encountering challenges at each developmental stage and value the creativity of our interventions. Our conference will be attended by professionals involved in the larger field of counseling, their work will include the contexts of school counseling, mental health counseling, as well as their work with diverse clients. Attendees may work in private practice, agencies, K-12, higher education, corrections, and within state and federal government… the very population who use your products and services. Past conferences have been attended by a solid section of professionals, suppliers and vendors, and registrants have found previous programs to be worth the investment of their time. Below is more information regarding Exhibitor, Sponsor, & Advertising Opportunities. You will find an application link at the bottom of this page. Exhibitors also have additional advertising opportunities. If exhibitors would like to join us for lunch, lunch tickets can be purchased for an additional $30 per ticket. **Note: Pamphlets and/or promotional items to be put in attendee tote bags must be provided by the advertiser no later than February 1, 2019. **Note: all advertising artwork is to be submitted in PDF format no later than January 1, 2019. **Payment for exhibitors and sponsors is due by January 1, 2019. Failure to pay in full by this date will result in loss of exhibitor space. All sponsors receive special mention and recognition during opening remarks. All sponsors receive an exhibit table for 2 conference days. All sponsors are listed in the program and recognized as sponsors. Premier sponsors – $1500+ receive preferred exhibit table location, premium advertising (centerfold ad or back cover ad), tote bag pamphlet insert, and promotional item insert, two lunch tickets per day, and larger logo on attendee tote bags. Gold sponsors – $1000 receive full page ad, tote bag pamphlet insert, promotional item insert, and 2 lunch tickets per day. Silver sponsors – $800 receive 1/2 page ad, tote bag insert (either pamphlet or promotional item), and 2 lunch tickets per day. Bronze sponsors – $600 get 1/4 page ad, and tote bag insert (either pamphlet or promotional item) and 2 lunch tickets per day. **Note: all advertising artwork and sponsor logos are to be submitted in PDF format no later than January 1, 2019. **Pamphlets and/or promotional items to be put in attendee tote bags must be provided by the advertiser no later than February 1, 2019. Upon review, accepted applicants will be provided a payment link.